Being let go from a position is a difficult position for most people. When this occurs, it’s a good idea to ensure that you have left the company on good terms by sending an apology letter. 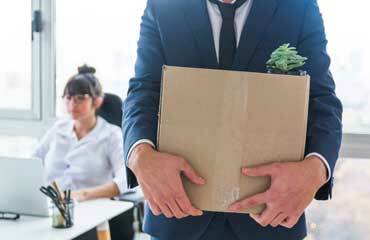 These letters are often included in an employee’s file and serve as a record of the employee making an effort to exit on good terms. Make sure the letter sounds professional yet friendly, and under no circumstances place any disagreeable language in the letter. Keep it brief, professional and friendly. I wish to express to you my sincerest apology for my being fired from my position at ACME periodicals. I realize you depended on my ability to handle the workload, and I could not. Unfortunately, this caused a great deal of stress for you, and I am so sorry for that, as you were left in the lurch and needed to immediately hire and train a replacement. I can understand how disappointed you are with me and accept the consequences fully. My actions were not in concert with the corporate culture, and I was obviously over my head with the projects. This caused both you and the company considerable embarrassment, from which I am terribly sorry. When I signed on to the projects, I thought I could handle it. I was obviously wrong. That plus the accidental leaking of a private email to the entire department where our team leader had confided that he was the father of his secretary’s child both ended up in causing me to be terminated from my job at ACME Periodicals. Because of all which has gone down, I am here to offer you, the department and company my extreme and overdue apologies. I sincerely regret my lack of judgement and am well aware that my actions may have accidentally caused irreparable damage to the project at hand. As I understand it, many of the protocols had to be altered as a result, which put the project back even further. I have since sent an apology letter to the team leader and his secretary, as well as offered to help train my replacement if required. If there is anything, I can do to ease tensions, please feel free to contact me at your convenience.